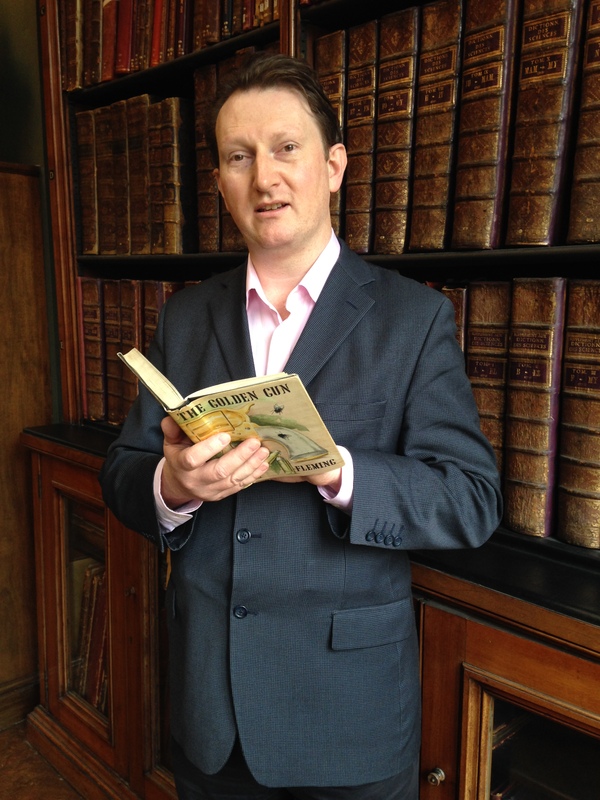 This week we welcome Jonathan Hopson from the V & A Museum in London, in from the cold, to submit his Field Report. It’s a difficult choice, but For Your Eyes Only is exceptional. I admire the contrasting textures of paper, wood, metal and flesh. 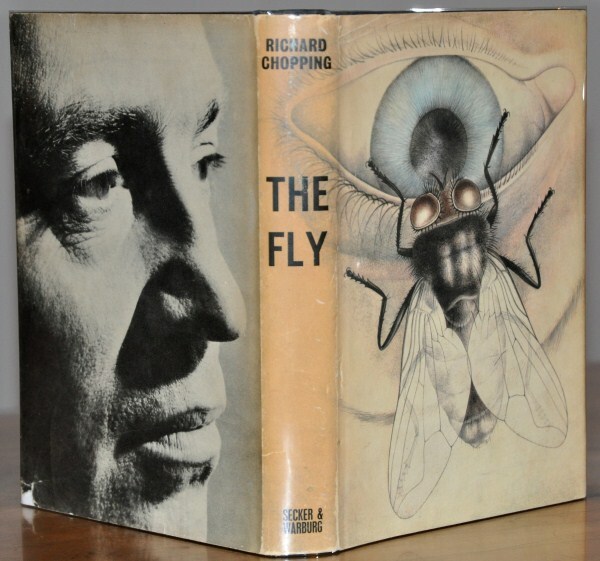 Chopping obviously enjoyed painting eyes, as shown by his cover for The Fly. I’d choose Goldfinger from the more typical covers. By adding coins to the skull’s eye-sockets, Chopping transformed a cliché into a truly macabre image. The fiction is beyond my means, but I do own a first edition of Thrilling Cities. It’s a wonderful evocation of a glamorous, exotic world before cheap air travel enabled mass tourism. I’m fortunate to work in the National Art Library which has some first editions with dust jackets, as well as a variety of paperback editions. 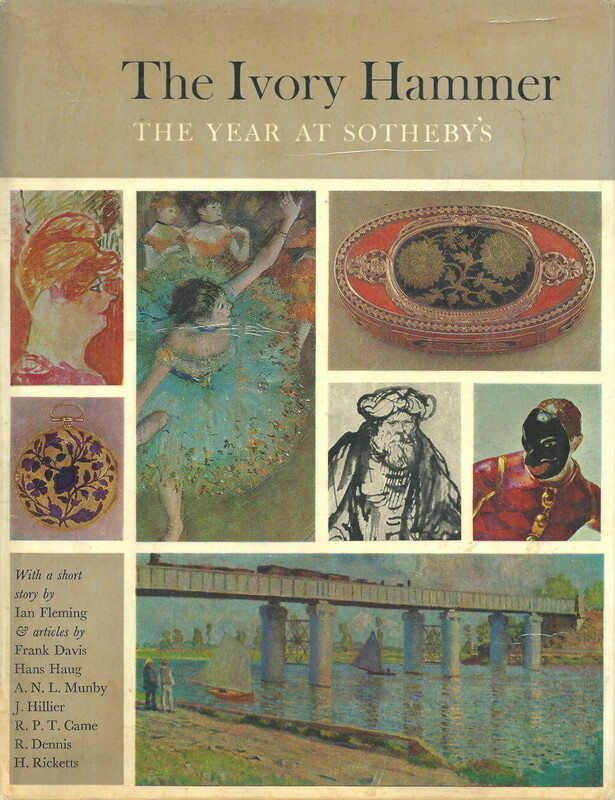 It also holds a major collection of auction house catalogues, including the 1963 Sotheby’s yearbook where The Property of a Lady was first published. 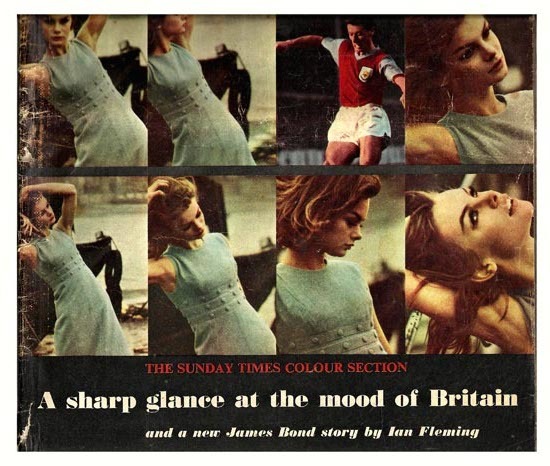 The first issue (February 1962) of the Sunday Times Colour Section which, as the original newspaper colour supplement, opened up a new era of photojournalism. The Living Daylights appeared there alongside contributions by David Bailey, Peter Blake and Mary Quant. It’s a remarkable example of how Bond has maintained his popular appeal despite changing tastes and fashions. 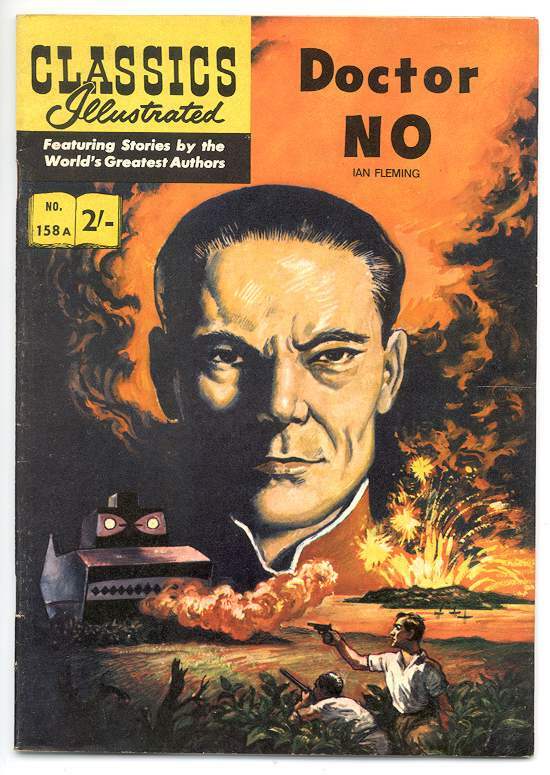 The 1962 Classics Illustrated version of Dr No would be a welcome addition to the Library’s collection of comics and graphic novels. It was a spin-off from the film and it’s interesting to see how the novel was adapted for different media. I only started reading Fleming during his centenary year in 2008. The anthology My Name’s Bond … revealed his range of literary skills and inspired me to buy the Penguin box-set which I read commuting to work on the London Underground. 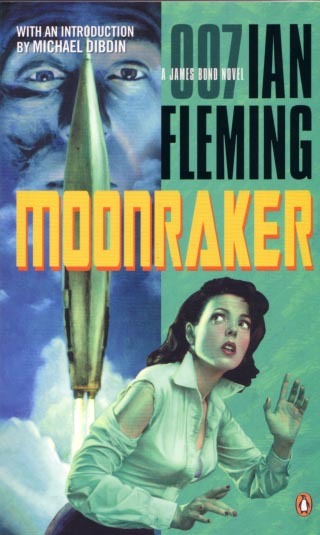 My favourite novel is Moonraker which displays Fleming’s quality of verisimilitude – the ability to ground a fantastic adventure in closely observed reality. The opening is surprisingly low-key, with a deskbound Bond bored by paperwork. The action then moves to the elegant Blades Club where Fleming makes a bridge game as exciting as any mortal struggle. I also love the attention to detail, such as the Benzedrine in the Dom Perignon ’46 and the pepper in the pre-war Wolfschmidt from Riga. Do you have any favourite Bond dust jackets in paperback or by continuation authors? The Richie Fahey covers for Penguin combine nostalgia and modernity, very much in the spirit of Fleming. I like the way each title retains its individuality within the uniformity of the series, following the standard set by Raymond Hawkey for Pan in the 1960s. Continuation fiction doesn’t really interest me, although Charlie Higson’s Young Bond books offer something fresh. Their original Puffin covers are very stylish, especially the pleasingly creepy Silverfin. 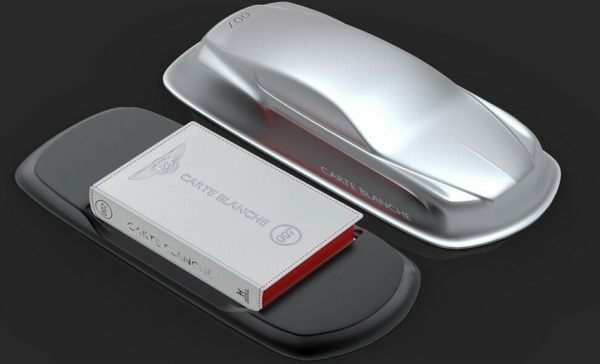 I acquired a copy of the Bentley limited edition of Jeffery Deaver’s Carte Blanche for the Library, and my eyes are always open for other examples of innovative book design. Jonathan Hopson works in the National Art Library which forms part of the Word & Image Department at the Victoria and Albert Museum, London.